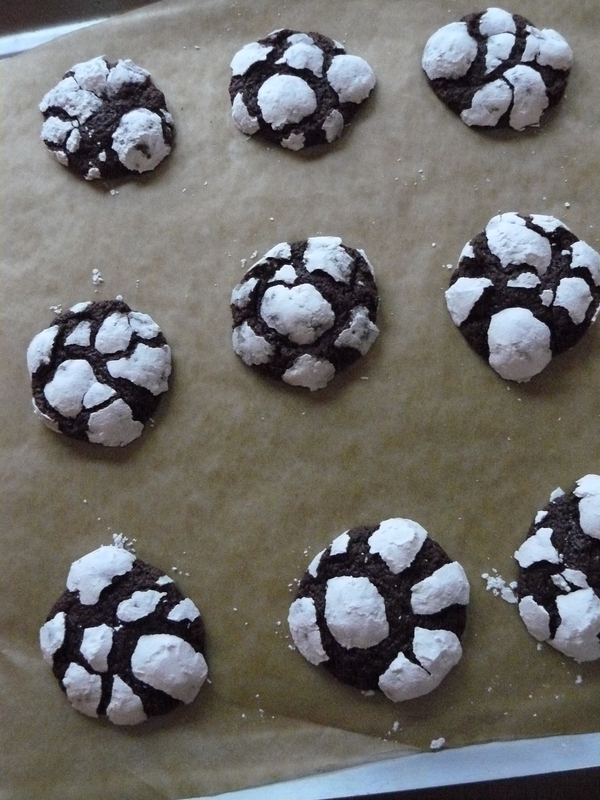 I’d been wanting to make chocolate crinkle cookies for some time now. My mom’s old recipe card called for Baker’s unsweetened chocolate, which I never have on hand. 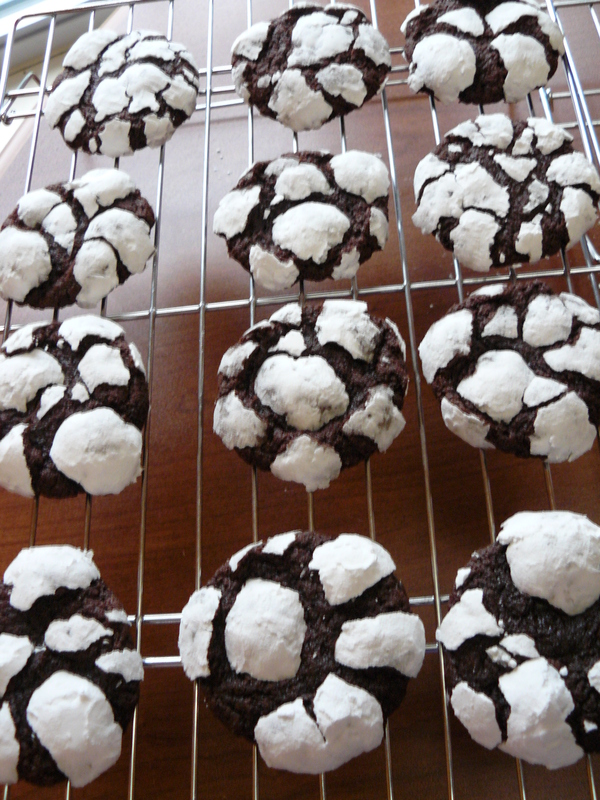 So I found a recipe just like it, except unsweetened cocoa powder replaced the Baker’s chocolate. That was a good start, but I couldn’t help thinking half cocoa powder and half dark chocolate would be the winning combo. Bottom line: you won’t go wrong either way, but YES, of course, they’re even more de-lovely, delightful with some melted dark chocolate in the mix! Preheat oven to 350 degrees F. Combine oil, cocoa and granulated sugar in a medium bowl. Blend in one egg at a time, then add vanilla and melted chocolate. Stir together flour, baking powder and salt. Combine with chocolate mixture. Chill dough for several hours or overnight. 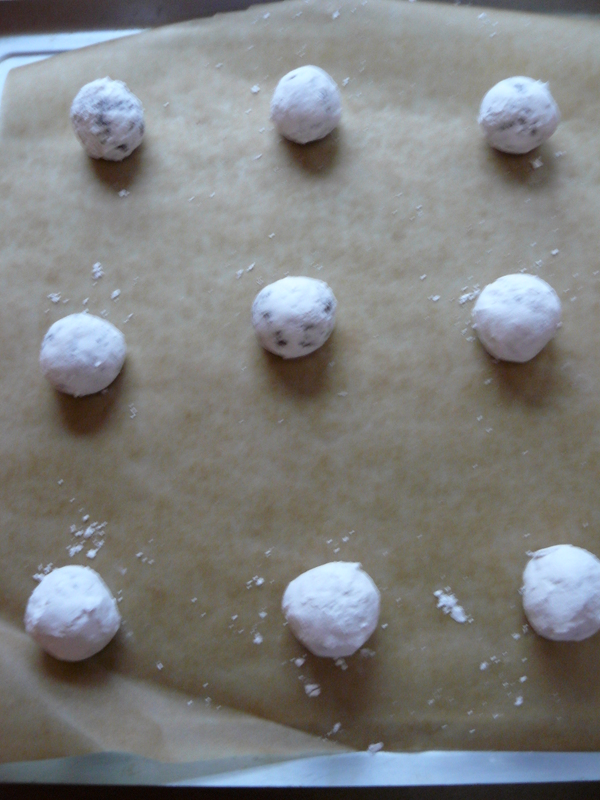 Roll dough in 1-inch balls, then roll into the confectioners’ sugar to coat completely. Place roughly 2 inches apart on a baking sheet lined with parchment paper. Bake 12 minutes. Let stand a minute before transferring to a wire rack. How very chocolatey you are! Powdered sugar is your coat.